Blockchain technology, also known as distributed ledger technology, is one of the ground breaking revolutionary technologies, which has been developed to keep record of informational data. In doing so, blockchain technology uses a mechanism based on cryptography that makes the recorded data permanent and unchangeable. Indeed, these features also build "trust" to its end-users. Though the blockchain technology was developed by a group of scientists in 1993, it was successfully implemented by Satoshi Nakamoto when he launched a crypto-currency 'bitcoin' in 2008. Since then blockchain technology has drawn much attention among its end-users. Many developed countries like Australia, the United Kingdom, the United States, Sweden and Switzerland are taking leading roles in implementing such a technology in various sectors, developing countries like China, India and a few African countries are also not falling behind as they are exploring the potential of this technology in various sectors. Furthermore, many developing countries perceive that such a technology may also help to curb corruption because of its feature of trust-protocol that can remove the third parties from any financial transaction or asset ownership record, which are usually corrupt. Having said that one should be aware of that the blockchain technology is not necessarily a proven corruption-free technology. Indeed, it has nothing to do with corruption. To understand the mechanism of blockchain technology, let me provide a simple example. Let consider an example of 'wikipedia' -- a very popular site that provides information to its readers. There are two types of agents: (i) an individual writer who adds information to wikipedia and (ii) an individual reader (also the end-user) who reads the information from wikipedia. One of the problems of current wikipedia is that the information provided by writers is not reliable as anyone can be a writer to change any particular information (thus becomes new information) at any time; and there exits no system to validate the new information. This also means that wikipedia is not a trustworthy site to gather proper and authentic information. Now imagine that one modifies wikipedia by introducing two additional features: (i) generating a unique code for each piece of information based on cryptography (also known as hash key function) which is hard to be changed; and (ii) each piece of information has to be validated by all its peers ie readers and writers (also known as 'proof of work'). These mechanisms make the wikipedia's informational data permanent, unchangeable and trustworthy. This is how we end up in the basic mechanism of blockchain technology. As I have mentioned earlier that blockchain is a distributed ledger which consists of a series of blocks, where the data are kept. Like branches of trees, each successive block is linked to its previous block (through hash key). Thus the branches of tree form a chain leading back to first block also known as genesis block. Each chain of blocks describes the state of the informational data; and the peers ie all readers and writers decide which chain of blocks is in a valid state. An individual writer can extend the blockchain by adding blocks and he is rewarded for achieving consensus through readers' acceptance for his extended blocks. 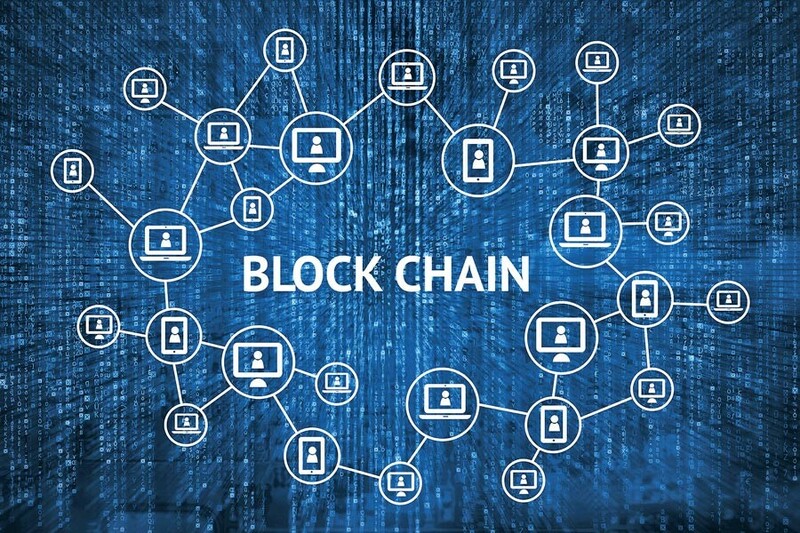 There are three types of blockchains depending on the number of writers and these are: (i) private blockchain where a single writer has a complete control of adding blocks; (ii) permissible blockchain where only a particular group of writers have a complete control of adding blocks and (iii) public blockchain where there are unrestricted number of writers who can add new blocks. The difference between private and other types of blockchains is that in the first case only the readers can discipline an individual writer and in the latter cases both writers and readers can discipline an individual writer. Having said that the first two types of blockchains may lead to imperfect competition among writers, where the potential writers can engage in rent seeking behaviour ie corrupt activities. Though the public blockchain is much better than that of the first two types of blockchains, the competition among writers may provide a less incentive to an individual writer to add any new block. Furthermore, for public blockchains, one also needs to establish 'identity management' -- since a small entity can miss-present itself as a large entity and manipulate the readers. In the current state of blockchain technology, the identity management is established by forcing the potential writer to prove that he has accomplished computationally difficult task. Indeed, to accomplish such computationally difficult task one needs a large number of computers to work with, which also consume a lot of electricity. For example, the bitcoin currently uses more electricity than a country like Hungary. In a developing country where load shedding is common introducing such blockchain technology may escalate the electricity crisis further. Moreover, one can also argue with political economy's view of blockchain technology. It is more likely that a blockchain technology can refer to Schumpeter's creative destruction. Indeed, blockchain is a platform of radical automation generated by computer's code and can replace the human work with regard to keeping record of informational data. As a result, many workers can be unemployed. Furthermore, according to Marxian view, the separation of ownership of asset can be a potential source of exploitation. Indeed, blockchain technology separates the ownership of informational data from its owner and may provide an opportunity to writers to exploit the initial owner of informational data. The writer is Senior Lecturer in Economics, Deakin University, Australia. munirul.nabin@deakin.edu.au.